Today, the Chinese community is celebrating their own New Year. I don't have an inch of Chinese blood in my lineage. However, I grew up being exposed with their culture and traditions. For those who are not familiar with the history of my country, a significant number of our populace is comprised of the Chinese. During the ancient times, some Chinese migrated and ventured to different businesses in the Philippines. These Chinese men later found their stable livelihood and started to build their respective families here. The dominance of the Chinese community later led to the establishment of the Manila Chinatown in Binondo. It is believed that Manila's Chinatown is the oldest in the world. Situated in Binondo, this was established in 1594, when the Philippines was still colonized by the Spanish government. Aside from discovering history and the culture of the Chinese, Binondo is famous because of the best Chinese restaurants in town. 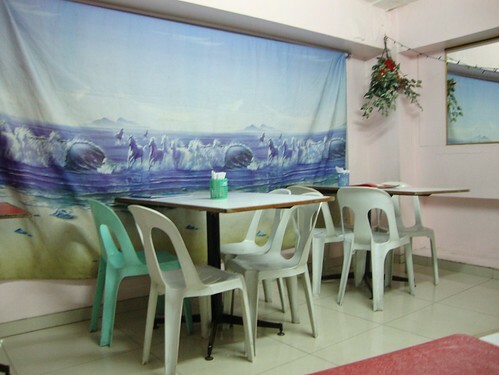 One of the restaurants I regularly visit with my friends is Estero. I already blogged about Estero in this post. For those who regularly read my blog, you are more or less aware of our mini Chinese New Year tradition. Together with my few workplace friends, we visit Estero before the actual date of the Chinese new year. The surroundings may not be too pleasing because Binondo is characterized by its narrow and busy streets. 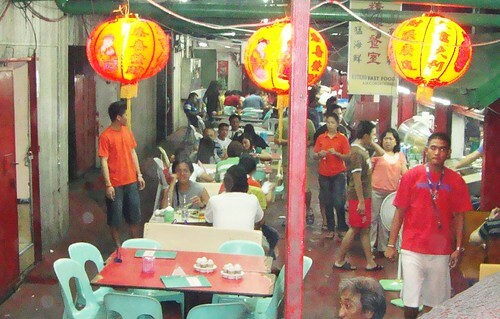 Since Binondo is a business district, expect the regular crowd of people that doubles during the Chinese New Year. Stores selling different charms are always present in any street. 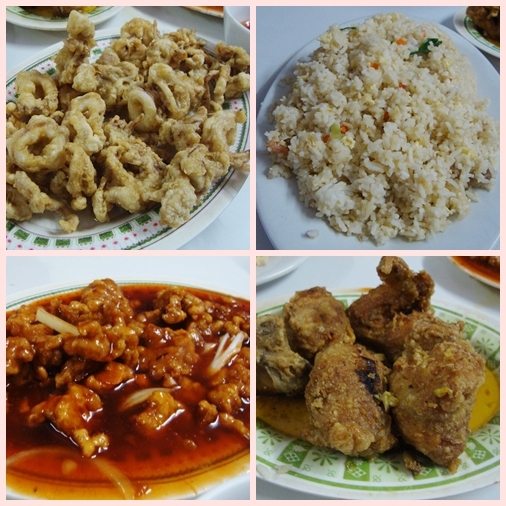 From left clockwise, Calamares (Breaded Fried Squid), Shanghai Fried Rice, Breaded Beef in Oyster Sauce, and Buttered Chicken, all for less than Php 600! I hope my blog friends abroad enjoyed this post. Most of you told me that you enjoyed reading something about my country. So here it is! The Chinese market looks like such an exciting place. As far as the food goes, I am so hungry looking at those pictures. I'm not much for squid but everything else looks divine. Thanks for posting. The more I see of your country, the more I know I will make a trip there. Diane naman! Now you're making me crave for Chinese food! Hahaha. Hi Diane, alot of the pics remind me of when we visited Chinatown in San Francisco. We ate at a restuarant reccommended by our hotel. The inside of this restuarant looked similar. The food there was inexpensive and delicious. I can see that yours looks super yummy. Glad you had some fun with friends. Happy Chinese New Year. A bit late I suppose.